Canadian MMA fighter, Elias Theodorou, has chronic pain and uses medical cannabis to help manage it. He says the anti-doping rules that govern UFC fights mean he's at a competitive disadvantage. 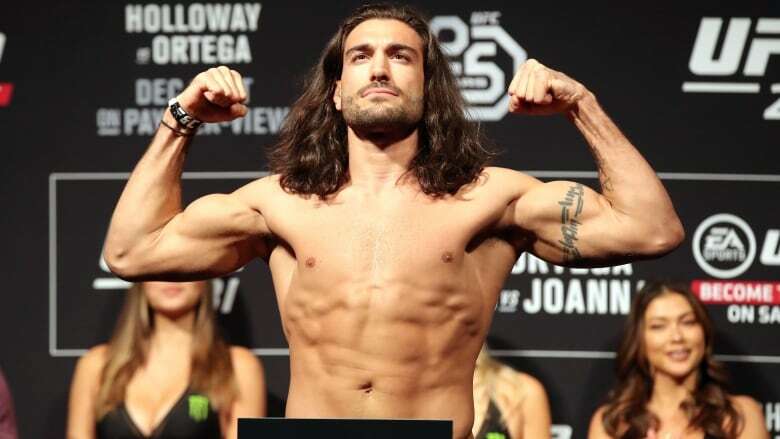 Canadian middleweight UFC fighter Elias Theodorou is currently on a three-fight winning streak, but it isn't a rival fighter that's currently at his top of mind. "Beyond my fight in the cage, my biggest fight is not against one man, it's the fight against the stigma of medical cannabis," Theodorou told ESPN in an interview after his victory earlier in December against Eryk Anders at the UFC 231 event in Toronto. Theodorou suffers from bilateral neuropathic pain. His doctor has prescribed him medical cannabis, but so far he's been unable to secure a medical exemption from the U.S. Anti-Doping Agency (USADA), which administers the UFC's anti-doping program. Cannabis isn't prohibited outside of competition, but if THC is detected in a fighter's system just before the fight — at the weigh-in, for example — they can face hefty fines or suspension. "What I'm asking, in my therapeutic use exemption, is basically to be able to medicate all the way to the weigh-in … compete, and then start recovering the next day with cannabis as prescribed by my doctor," Theodorou told Day 6 host Brent Bambury. THC is the main psychoactive component of marijuana. 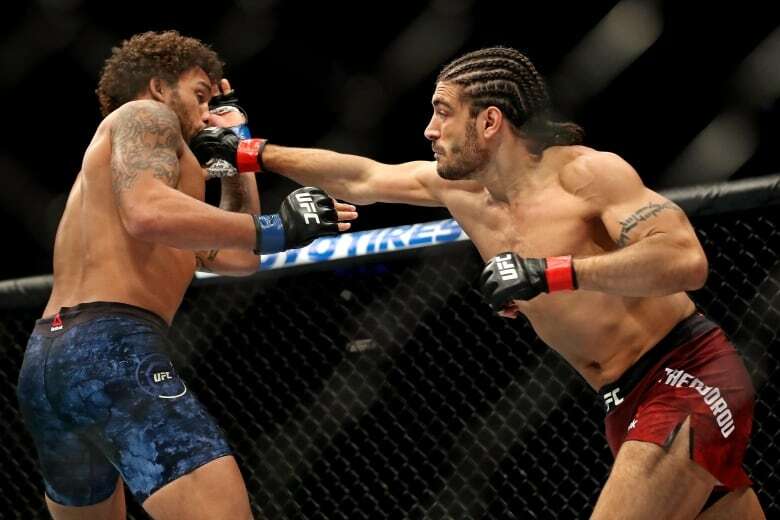 Cannabidiol, or CBD, is no longer banned, but Theodorou says his condition requires both CBD and THC components of cannabis to properly manage his pain. Theodorou argues that treating cannabis as a banned substance similar to human growth hormone (HGH) or steroids puts him at a competitive disadvantage to fighters who can medicate with other approved drugs, such as vicodin, right up until a fight. "The [USADA] is an American company, and they have in many ways the outlook of what America does, in finding cannabis as a Schedule 1 drugs, which meant that they don't look at it with any type of medical properties," he said. The USADA's Canadian counterpart, the Canadian Centre for Ethics in Sport (CCES), sent out a reminder in March "that cannabis will remain prohibited in sport, no matter its legal status in Canada." Both USADA and CCES follow guidelines, including the list of prohibited drugs and substances, as laid out by the World Anti-Doping Agency (WADA). The CCES has in the past pushed for WADA to remove cannabis from the prohibited list. Theodorou says the USADA and Japan struck it down. Theodorou, who is currently ranked 13th in the UFC's middleweight division, says he has opted out of potential fights in American states such as Texas, which he says has "a much stricter look at cannabis. "I'm willing to give up my ability to fight there or anywhere that doesn't respect my fundamental Canadian right to medicate as prescribed by my medical doctor," he said. Beyond his vocal advocacy for medical cannabis use in mixed martial arts, Theodorou has managed to punch above his weight and ranking with his personality and out-of-the-ring activities. The Mississauga, Ont., native draws his Greek roots into his nickname, The Spartan. But he also calls himself The Mane Event, after his flowing brunette locks. In March he earned some notoriety as a "ring boy" for an Invictus MMA event in Montreal, holding up the fight and round cards in the same way as oft-bikini-clad ring girls. Ring girls' roles have been criticised as sexist in the past, but Theodorou believes there's a better answer than eliminating them — and their jobs — from the sport. "In the true pursuit of equality the answer isn't less, it's more. So why remove a ring girl, when you can add a ring boy? And I'm happily adding my services," he said. He's also working on an upcoming film where he stars as an MMA fighter ("huge stretch, I know") who after a career-ending injury finds a new life in e-sports, or competitive video games. "In many ways, it's Southpaw meets The Wizard." He said the film project is his way of opening up the sometimes-difficult decisions athletes may face when their careers begin to wind down, or are abruptly ended due to injury. To hear more from Elias Theodorou, download our podcast or click the 'Listen' button at the top of this page. Will the Accessible Canada Act do anything to stop airlines from breaking wheelchairs?